Phones 'n' Gadgets - A technology blog on mobile devices and the people who use them. Whilst on holiday I left my smart watch behind as taking the watch plus charger was too much space in my bag. For ten whole days I was without my smart watch. Did I miss it? Yes, a lot at first but eventually, this waned and by the end of the holiday I had all but forgotten about the watch. What I did notice though was that whilst on holiday I was far more relaxed than I have been for a long time. For the first day or two I was checking my normal watch every few minutes to see the latest updates but being non-smart it just told me the time. Now I am back I immediately recharged the watch and reconnected it only to find that I had restarted the terminal onslaught of messages which the watch shows. I admit, the best thing about the watch is that it silences my phone and transfers all activity to my watch. The down side is that I cannot differentiate between the incoming alert. Thus a tweet from someone has the same priority as an email. and each email has the same priority, so ones from important people cannot be singled out. This might sound like I am being picky, but as my fiance pointed out, when I am wearing the watch I am constantly looking at my wrist and not at the person talking to me. So I recently put the watch away and have reverted to the non-smart watch. This means I am getting alerts through my phone, but each alert has a different ring tone. I have also stopped a number of alerts and notifications which were more entertainment than necessary. I now need to click on the app to see what is happening rather than be informed through notifications. The result is I am less stressed, well I feel I am. To add to the mix, I recently moved house, and the new house has not internet. This has resulted in my children reading books and talking to each other and the family rather than hibernating in their rooms and playing on their tablets and other devices. So what can I conclude from this limited evidential study? It seems that technology can enable social habits when used at a distance where as when used locally it impedes communication. I still advocate using technology and see it as a useful tool for social networking generally doing things and finding thinsg out. But what is clear is that we can be overtaken by technology and this leads to the question who is using whom? Labels: notifications, over use, smart watch, technology overdose, technology takeover. I am writing this in Jamaica, whilst lying on a lounger by the pool. I mention that not to make you jealous but to highlight I am away from home. One thing that has become essential when away from home is reliable technology. We all rely on technology so much that if it fails we have a situation. Whilst flying over I used my iPod to listen to a couple of times but when I got to the hotel, my iPod was out of charge so I thought I would recharge it. Sadly it locked and says I need to login to itune to unlock it. I cannot open/unlock it to connect to the local WiFi network so have to rely on an alternative. In this case Google Play Music on which I have a range of music stored. It works perfectly as long as there is a WiFi network and it is easier to access my music as I am not limited to a few Gigabyte's. Whilst here, I also took up the opportunity to use Google hangouts to call home and speak to the kids. I have never been more impressed with the quality of the call. I just did a nice call as I had not tried the network out to see if it would do video but will give it a go later. After relying on Skype which constantly drops calls and has a lag between talking it was refreshing to uses VOIP app and have appear real time. So far I have to take my hat off to Google producing two valuable apps that do what you want, when you want in a way you want. Tresorit - what to do when you delete a folder accidentally. I just discovered a flaw in my favourite cloud platform Tresorit (https://tresorit.com/). Tresorit is a cloud based storage provided that syncs files and stores them securely with a secure 256Bit encryption programme. I use Tresorit for my business documents as I believe my clients deserve real security but I need the ability to access the files at any time wherever I am. Tresorit fits the bill and ticks the boxes. Up until now I have never had any difficulties with the service, I am happy it allows access to only three devices as this limits my ability to work to only three work devices. I am not sure how, and I know lots of you will have been there and done that, complete with getting the badge, but I accidentally deleted my whole work folder from my desktop. To make matters worse, as I had not realised the error I compounded it by deleting the recycle bin as I had recently deleted a number of other useless things cluttering up my space. Absent mindedly, I added to the mess by installing something whilst deleting the recycle bin and so when the message ‘do you want to permanently delete you work folder’? I absent mindedly clicked ok... Then the penny dropped! But it was too late to cancel. Fear not I thought. I make regular backups of things, but this will be out of date and not contain the article I had saved that I was writing. I quickly Googled Downloading folders from Tresorit and found this was not possible. I could download individual files, but my work folder has many hundreds of thousands of files so this is not a viable option. There was a lot of concern on the internet that Tresorit is a live sync, so if you delete a file or folder from your Tresor, it syncs this deletion and you have lost your folder (bye bye). There is no fall back like you get with other cloud sync programmes that allow you to revert to an earlier version, as this version apparently does not exist, according to Tresorit. 1. Stop your desktop Tresorit programme running, as this syncs folders and files. 2. Search your computer, in Windows Explorer, for the Tresorit folder and click on the icon. 3. Click on the shortcut to you Tresor. This brings up you folder stored on your computer under my Tresors which is undeleted as long as the Desktop programme has not synced. 4. Copy and Paste you Tresor into its original programme. 5. Thank whoever you like for catching the problem before your computer deleted your Tresors altogether. Tresorit add that also If Tresor is sync'd and colleague deletes file, hidden .tresorit/Trash folder contains deleted files. I hope this helps people who also use this really good programme. I will still continue to use it and will do manual backups to external hard drives which are encrytped on a regular basis. I would not say that having an Android smartwatch gives you unlimited, or even a really good selection of watch faces, but there are enough for at least one to appeal to you. I have assembled my current favourite watch faces. My criteria will undoubtedly be different from yours, and to spell it out, I need a low power consuming watch face (hence black is my preference) and ideally one which is clear at a quick glance and has the main information I require on it. A simple interface with a little colour. The colour you can change as you can with the date and the battery state which can be included in the background. 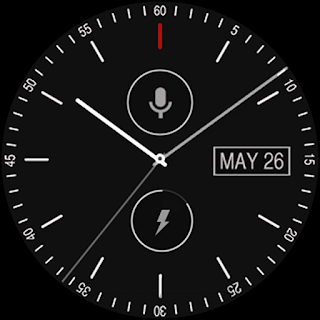 I prefer analogue watch faces to digital and this is a great simple and effective interface which shows the time as well as other key information. 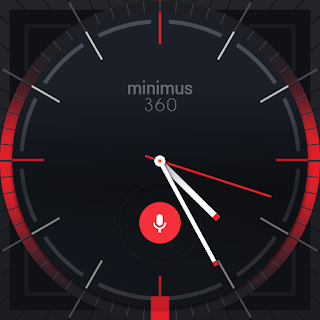 To download Minumus watch face go here. 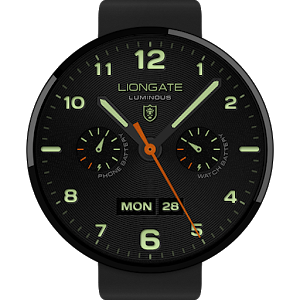 This Luminous watch face is simple and effective, it has to extra dials to show the battery of the watch and your phone as well as displaying the date. Its simplicity is why I like about this watch face most. It is easy to read in daylight and at night. The only slight niggle is that the date can be obscured by notifications. To download Luminous go here. Modern Classics features a simple and clear watch face which provides the day, date and watch battery charge as standard. For the addition of a few coins you can unlock other features such as the temperature or weather. I like the simplicity and the fact the hands are always clearly visible. to download Modern classics click here. 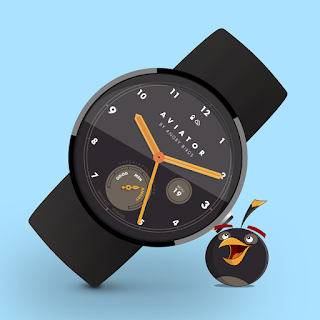 Yes, you are correct, Angry Birds have moved from a number of apps to a watch face. The blurb for this says "Pick your favourite Angry Birds character to style your smartwatch with vivid colours and the occasional angry outburst. If it’s a bad day, the birds get more angry. Wait for the clock hands to form an angry frown at 10:10.". Although I love the watch face I have never been able to change it from the standard red one, but that said I have not used it that much. to download it click here. 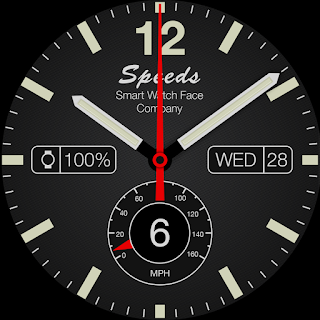 Like the other watch faces, Speeds provides a clear and crisp interface with the time and key information such as the watch battery state, time, day and date in addition to a speedometer. This ideal for the sporting person who needs to keep an eye on their speed. to download Speeds click here. 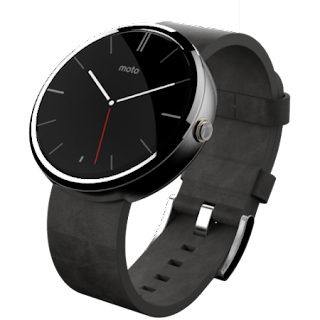 And finally my long term favourite is not available for download unless you have a Moto 360 smart watch as it comes with the watch direct from Motorola. 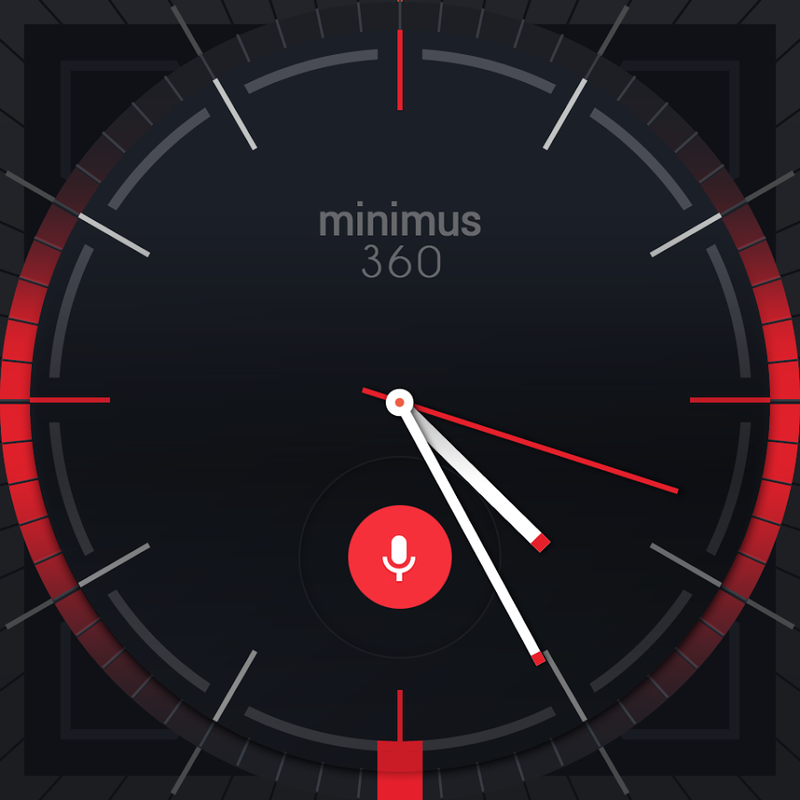 I am referring to the Minimal watch face. A simple black and which interface with a second hand which you can change the colour and the date which can be added. 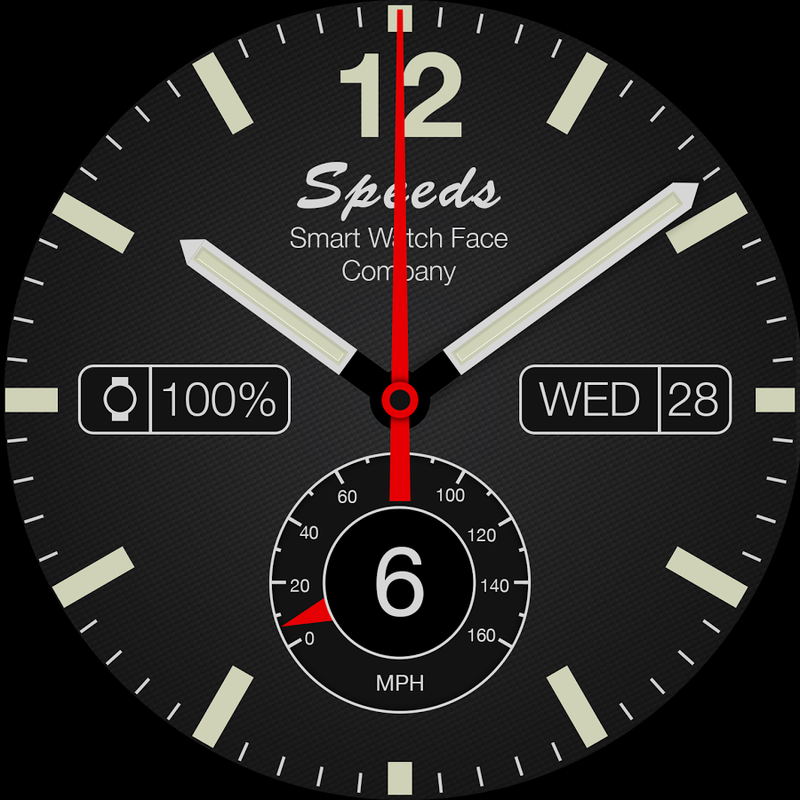 It is a classic and a great lesson on how to design a watch face, It is a simple, effective and clean watch face... perfect. Which is you favourite? Let me know in the comments. 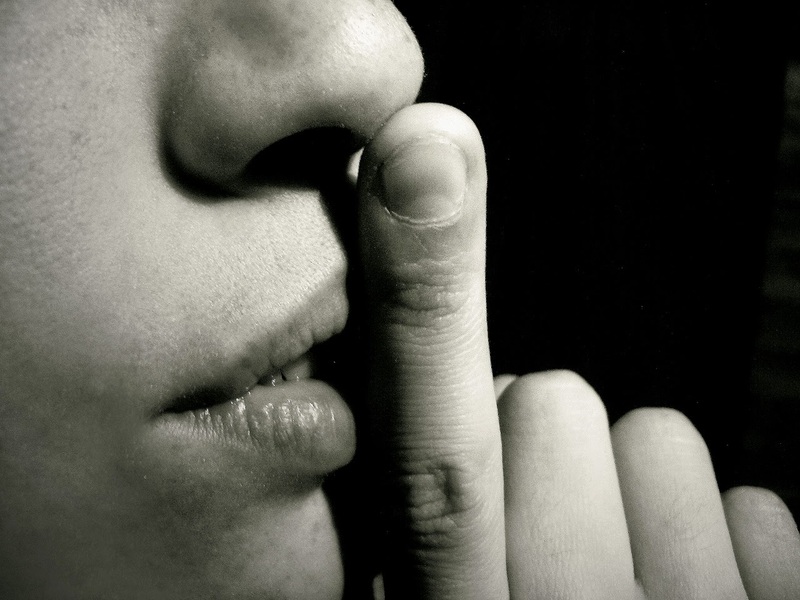 One of the unexpected things I love about my Smartwatch is the fact that my phone is now silent. It stays in the silent state throughout the day and night. When I need to action something it comes through as a vibration on my wrist. This makes my life calmer although it might appear strange to others that I keep checking my wrist. It is especially useful when I receive a call as my wrist has a constant set of vibrations so I know it is not another type of notification. Thought I would give a heads up to what I regard as a good app. For me a good app has to work as expected, do what you want it to, have the ability to configure things so that you can make the experience your own and be cheap enough to warrant consideration. 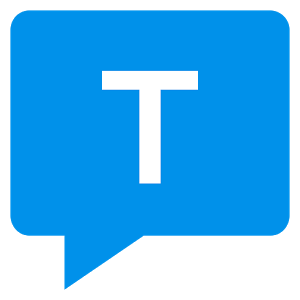 There are a lot of really good apps out there which are worth spending a few pennies on but the one I am thinking about is Textra. Textra is a simple intuitive SMS texting app. it allows you to add emojis with an add on surprisingly called Textra SMS iOS Emojis as well as allowing various levels of configuration. Most importantly the app is free to try and 61p to buy, so it will not break the bank. The app automatically adds photos from your Google account to match the people who are texting and there are options for quick compose and default signature as well as the ability to delay sending something. All of these features and the ability to have a dark background or light one make the app a winner in my book. Android Wear - is it worth it? With the release of the Apple watch it is claimed that this watch has 3000+ apps which can work on it now, so how does Android wear compare? 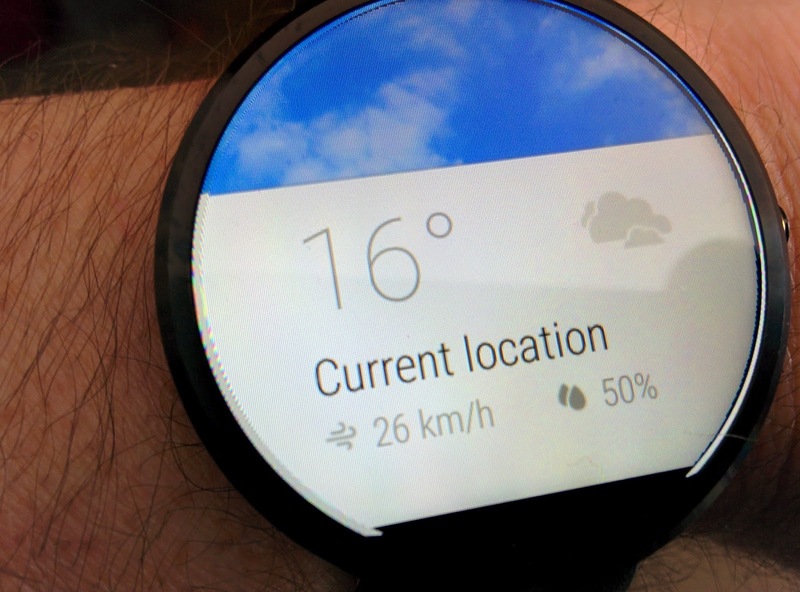 Android wear is the operating system for android smartwatches. It is a pared down version of the full Android system and allows apps to use the watch. The Smartwatch itself allows the apps to show notifications as well as start and stop apps on your Android phone. Android Wear is tied to the Android system currently, as the AppleWatch is tied to the Apple iPhone 6 currently. Android wear does have a few apps of its own as well as some basic games, most notable of which is a space invaders game as well as some bespoke fitness apps including my favourite app FitCloud which is a great app for cyclists and runners as it keeps a track of your whereabouts through GPS and can log the whole event with details such as Start and finish times, Average speed, Max Speed, Average Pace, Max Pace,Distance,Duration, Average Moving Speed, Average Moving Pace, Min/Max Altitude, Loss.Gain, Min/Max Gradient, Average Heart Rate and Max Heart Rate, Average Cadence and Track Points. The key to Android Wear is using the built in devices in the Android Smartwatch such as the heart rate monitor and also using apps on your smart phone such as the GPS app to bring hear rate and location data together. Is there any difference between Android Wear Smartwatches and Apple watches? Yes, There are relatively few apps on the Android Wear Play store. Most of the store is full of watch faces, which are fun to have but do not enhance the functionality of the Smartwatch itself. 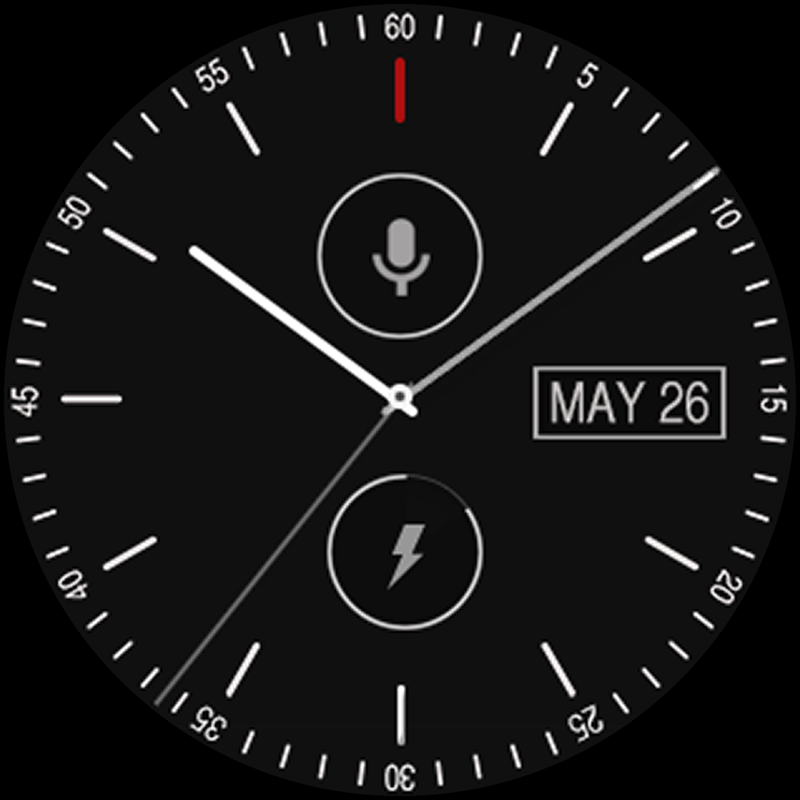 That said, I prefer the Android Smartwatch customisation ability as well as the ability to make your own custom watch faces with apps such as Facer. I am waiting for the new Android 5.1 update for the watch to come through and will write more on it then. Copyright Guy Dewsbury www.gdewsbury.com 2013. Picture Window theme. Theme images by Dizzo. Powered by Blogger.